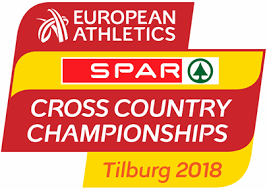 Anna Macfadyen heads for the Euro Cross this weekend expecting the event in Tilburg in Holland to be a somewhat different experience to her last cross country appearance with GB and NI. 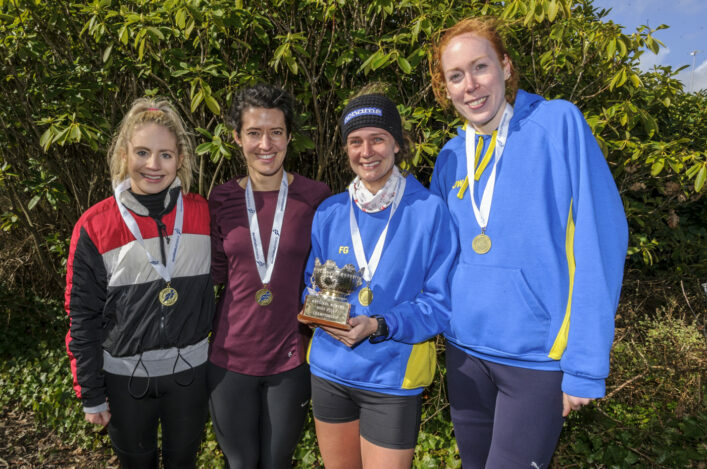 The Edinburgh Uni Hare and Hounds athlete who came through the ranks at Forres Harriers will compete in the Junior Women’s race after finishing fifth at the Liverpool trial. Jamie Williamson, in the Mixed Relay event, is the other Scot in the 40-strong party who travel across the North Sea on Friday ahead of the competition on Sunday. 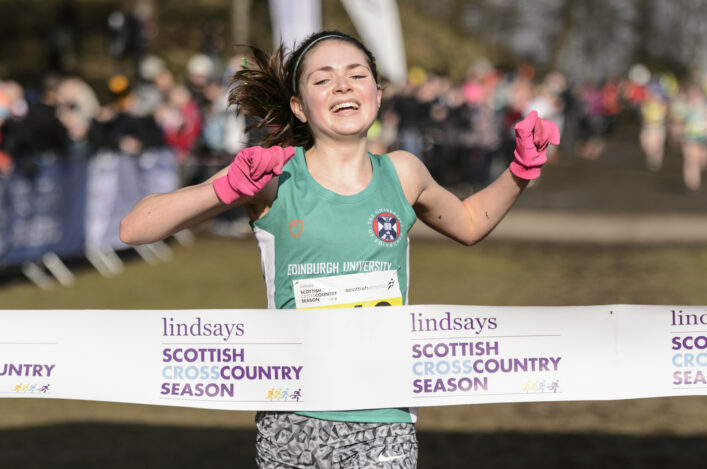 For Anna, short-listed for Scottish U20 Athlete of the Year in 2018 at our FPSG Awards Dinner, a World Cross event in Africa in 2017 remains fresh in the memory. ‘I went to the World Cross and March 2017 when myself and Gillian Black made the GB Junior team,’ she recalled. ‘It was in Kampala in Uganda and it was quite a trip – all in we were away from Scotland for about six days! ‘The conditions were so warm and so tough and African athletes just kept flying by you. It was a day when many European and British athletes found it hard and people were collapsing at the finish line with dehydration and heat exhaustion. ‘In fact, about half of our team (GB Junior Women) ended up in the hospital tent at the finish. Thankfully, Gillian and I were okay. 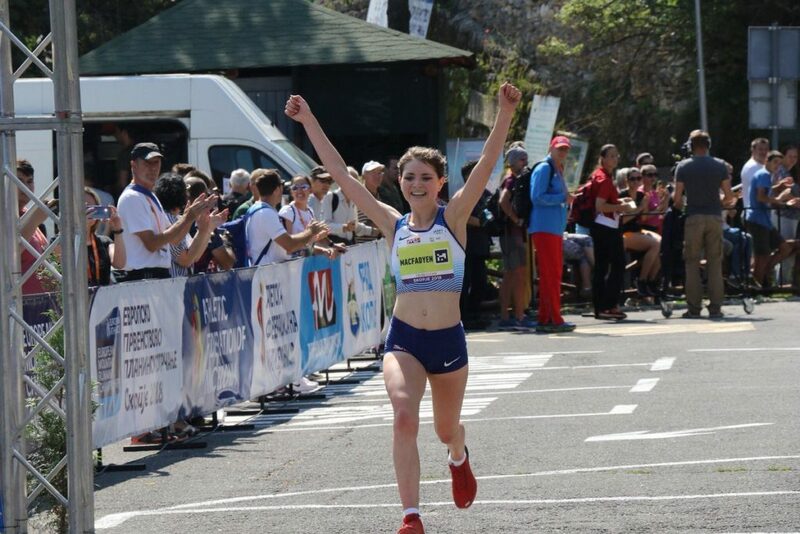 Anna, also a GB international in hill running, is in good form after a fine run at the Lindsays Short Course Champs saw her win U20 gold at Lanark prior to the British trial at Sefton Park. ‘I’m just delighted to have made selection as that was a target for this winter, really,’ she added. ‘I won the U20 gold at Lanark in the Short Course XC and then was fifth in the trials at Liverpool. I can go over there and, whatever happens, try and race the other GB girls and see how that goes. My Edinburgh Uni tream-mate Mhairi Maclennan is one of my training partners (in the group guided by coach John Lees) and it’s great for the Uni to have this kind of recognition. I’ve spoken to Mhairi for a wee bit of advice about a Euro Cross and how it differs from the World Cross. 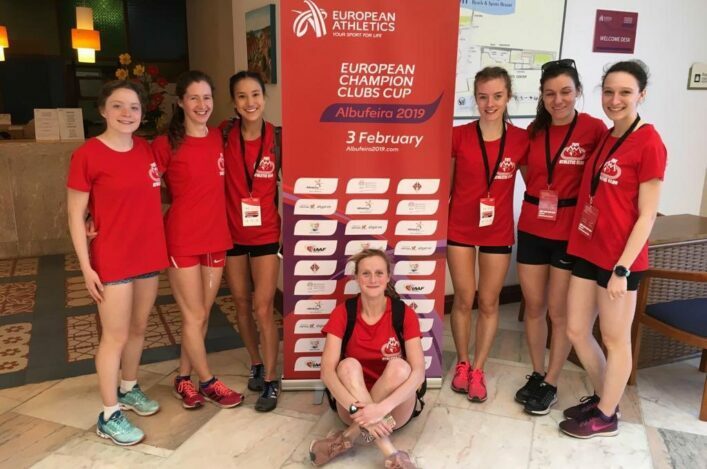 In July, the Edinburgh Uni student landed a superb silver medal in the European Mountain Running Champs in Skopje at U20 level. ‘I enjoy hill running but cross country is my favourite. I’d do cross country all year round if I could.! 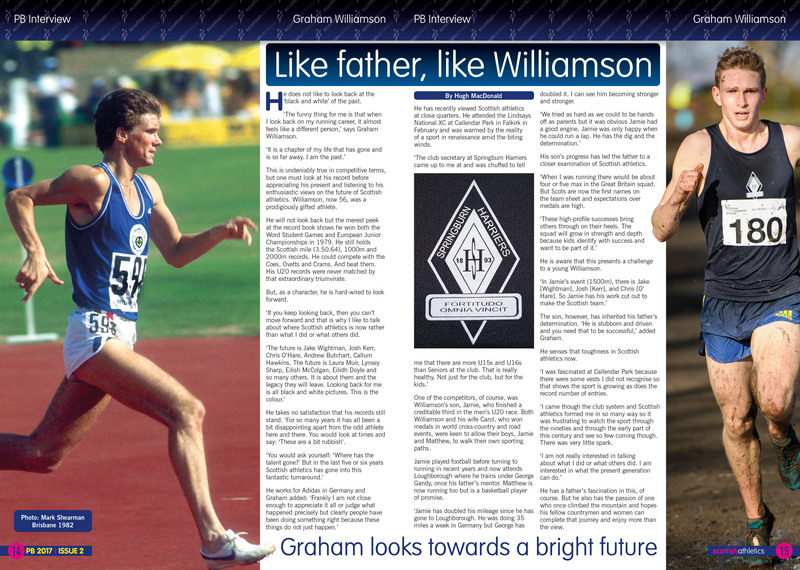 For Jamie Williamson, the selection is a special moment as the Scotland international wins his first GB vest – and follows in the footsteps of his famous father, Graham. Jamie grew up in Germany and indeed his progress has been such in the past couple of years that there were hints the German federation would be keen to land him for international representative honours. That shouldn’t happen now with the Loughborough-based student, who is coached by George Gandy, set to follow where Cameron Boyek led last year as GB won the first Mixed Relay at the Euro Cross. Graham, of course, still holds a number of Scottish Records both age group and senior including the Senior Mile mark on the track. 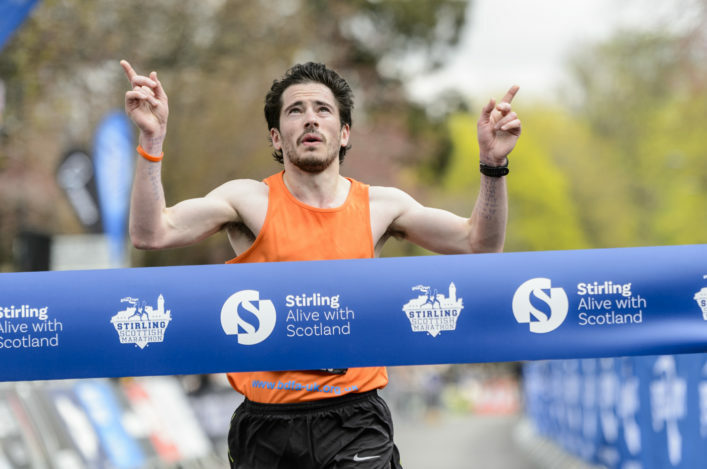 It’s a great moment, too, from Springburn Harriers with Jamie set to become their first GB international for many years.